Smooth Radio on transfer deadline day! As Wayne Rooney strikes a brace to extend Manchester United's lead at the top of the Premier League, the rest of the division will be scrambling round for last-minute deals. Will Harry Redknapp wheel and deal to aid QPR's plight, will Aston Villa look lively in the boardoom as their team sinks - and will Stoke continue to show the ambition which has seen them establish themselves as a top flight club? And does trouble have to follow Mario Balotelli around everywhere. Police fire teargas at crazed Milan fans as the Manchester City striker dines in a restaurant close to the San Siro! Drogba's back in Europe and the Government meddle in our national game! Premier League vs Public Sector! 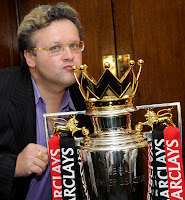 Could the Premier League fall victim to Government fiddling? So many on and off-field stories to chew over this morning. Galatasaray are back in the transfer market ahead of their Champions League last sixteen tie with Schalke... they've only gone and signed Chelsea's Champions League legend, Didier Drogba! Jonny asks if the Turks are a good punt to win the European Cup, having already signed Wesley Sneijder. There are four top flight fixtures tonight plus Beckham's Arsenal chance, but is it more than just training? They might’ve won the FA Cup more than anyone else but the insatiable Manchester United winning machine’s been without it in the trophy cabinet for eight years. If they’re to break Chelsea’s recent dominance, they’ll need Wayne Rooney bang in form, in match winning mood. ﻿﻿United beat West Ham 1-nil to reach the fourth round this week, but the story might’ve been different story if the Hammers had taken their chances. Wazza scored the winner – but also missed a penalty. He’s missed ten spotkicks as a United player. Okay, he scored too but for a world-class performer, he’s quite a complicated soul. Whatever they say, a succession of injuries indicates a certain lack of core fitness. There’s an old maxim that fit players don’t get injured. Rooney said recently that Robin Van Persie – not him, was now Manchester United’s talisman. This is a snapshot of his state of mind. With recent injuries, perhaps they explain why his career hasn’t taken off in the same way as Lionel Messi and Cristiano Ronaldo. Rooney was definitely a peer of the pair after his sensational EURO 2004 show, but layoffs, disciplinary tangles and bad headlines in the press have left him battle-scarred. Even if he's got the appetite for playing, does he still have the confidence in his own ability to perform? There’s still more to come from Wayne Rooney, but fans of both United and England will look to him for a sustained period of consistent match-fitness and personal discipline. Pep Guardiola’s near-theatrical “I want to manage in the Premier League” gush turned out to be the most elaborate "come and get me plea" in the electronic media age. 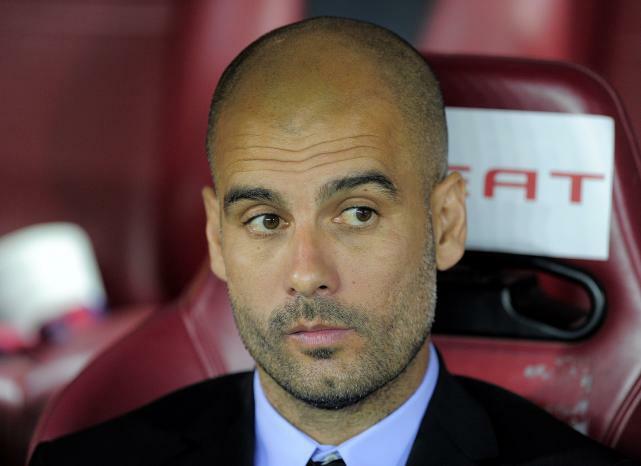 Pep flirted with England's elite - then signed for Bayern! The former Barcelona boss, on sabbatical after stepping down at Camp Nou last season said, "As a player I couldn't realise my dream to play in England. But I hope in the future, I have a challenge to be a coach or a manager there." He added: "It is unique to play in that league. I want to feel the supporters, the environment, the media and the style of the players and everything. But in the very same day as those words were trumpeted through press and social media, Guardiola agreed terms with German giants, Bayern Munich. So much for feeling the English game then. Pep guided the Catalan giants to an incredible haul of 14 trophies in four seasons. Auf wiedersehen, Pep! Bayern is 82% owned by the fans in a setup similar to that of the Catalan giants and like Barca, they're one of the big two clubs at home. They also have an enviable youth policy and a desire from the cream of the crop to play for them. It's a hunger shared by just a handful of the world's top clubs. They're also perennial and viable Champions League performers and sign players from other domestic clubs. All of these similarities will aid Guardiola to repeat his stellar achievements in the Bundesliga and beyond. He's spent time away with his family in New York, sampling life and culture in a completely new environment. Despite the growth of the MLS, Manhattan remains one city where Pep can remain almost anonymous in the crowd. But in signing for the Bavarians, he's ready to step back into the limelight. 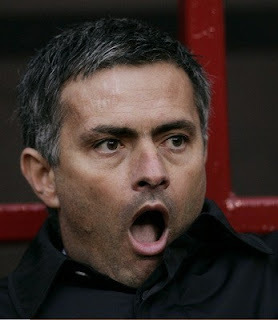 Meanwhile, we all know what Jose thinks of English football. The ex-Chelsea boss has a long-held desire to return to these shores when his time at Real Madrid comes to an end. England and Spain have been vying toe to toe to be regarded as the best league in the world for the last decade. Perhaps Spain have nosed ahead the last couple of seasons if the FIFA Ballon d’Or awards are a barometer. But I believe English football is about enter another golden era. Television rights in this country are up 70% from next season – which means while wages are being controlled for lesser talent, English clubs will be able to top dollar and premium for real (or perhaps Real) talent. Don’t be surprised if the brain drain of managers to England isn’t matched by Latin stars choosing Wigan on a wet Wednesday night too. Germany's grabbed a superstar coach - but while the Bundesliga's among the most competitive of European leagues, only England has the financial clout to attract a basket of top names. You heard it here first: English club football is about to enter a period of renewed dominance - and will leave even Spain - and Germany in its wake. 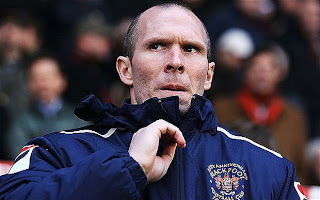 Is Appleton really Blackburn's Messiah? As Blackburn Rovers appoint Michael Appleton as their new boss, where's this hyperactive game of managerial musical chairs taking us? Blackpool granted him permission to speak to Rovers - despite only being at Bloomfield Road two months. 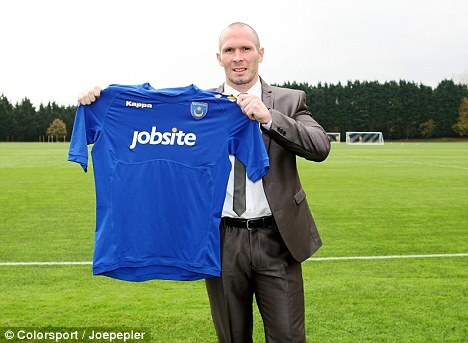 Before that, he spent 10 minutes at Portsmouth and had a quick trip round West Bromwich Albion on the coaching staff. Fans on Stadium Tours get more accustomed to the surroundings! Collecting a CV quicker than you get your holiday snaps developed is a symptom of trigger happy chairmen's impatience. They're sacking bosses because they’re perceived not to be big enough characters. It used to just be about getting results. Now bosses get boned because they’re not more famous. Stepping into that vacuum is someone like Michael Appleton, highly rated in the game largely because he’s not got anything wrong yet – because he's not done much except drive around the country signing coaching contracts. Sean O'Driscoll left Nottingham Forest on the edge of the Championship play-offs having beaten Leeds 4-2 - and replaced by Alex McLeish. Flippin' Eck, you might say! The former Birmingham and Aston Villa boss is supposed to be more capable of dealing with the rigours of the January transfer window. Next thing, Forest get beaten 3-2 at home by Oldham, a team further down the Football League and the decision looks cack-handed to say the least. 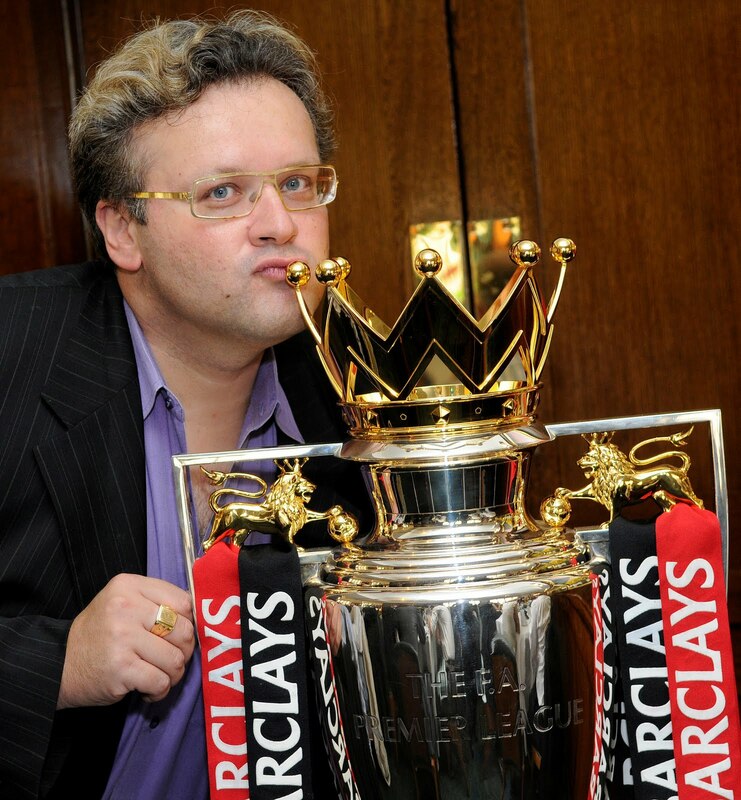 The Championship's jittery because owners and chairmen all realise the riches of the newly-capitalised Premier League would provide their club with even bigger cash injections than before. Television revenues are set to increase by a whopping 70%. Leeds United and Nottingham Forest have both changed ownership because of it and the inexperience of the new custodians makes the manager's life even more precarious than it was before. So as Rovers sign up Appleton, they seem perfect bedfellows. Neither has a gameplan. He can't wear that again. I hope he only rented it. Lionel Messi deservedly collected his fourth consecutive FIFA Ballon d'Or at a glittering ceremony in Zurich not least because of his bling-encrusted choice of dinner jacket and matching bowtie! Not even Roxy Music's sax player would've chosen something that brash. Even John Barnes gasped at his choice of evening wear! 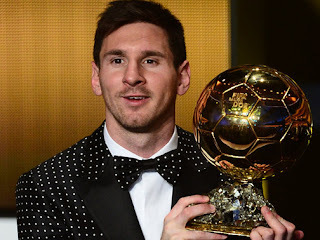 Cristiano Ronaldo and Andres Iniesta were the two others nominated, but in a year of individual goalscoring achievements with an astonishing 91 for the calendar year, few would argue with the pre-eminence of the Argentine in 2012. So who voted for who? Here's a fascinating slideshow which demonstrates the tactical voting and nepotism in some of the voting. Despite that, FIFA can more than justify the three that were nominated this year. Early tip for at least a nomination next year? Radamel Falcao, who figured in many a player's personal top three - including the third choice of England manager Roy Hodgson. Falcao's certain to be top of the shopping lists of all the major European clubs.